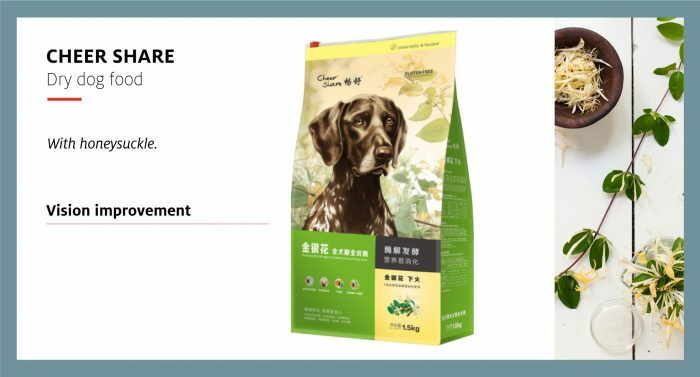 Among the mega pet food trends observed in the world, “Healthy Lifestyle” and “Premium Indulgence” are particularly strong in China. 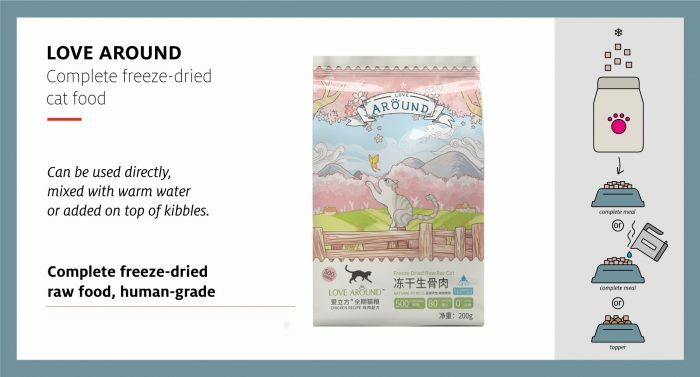 To fit the lifestyle and expectations of Chinese pet owners, these concepts are locally turned into convenient and tasty products featuring healthy traditional ingredients. 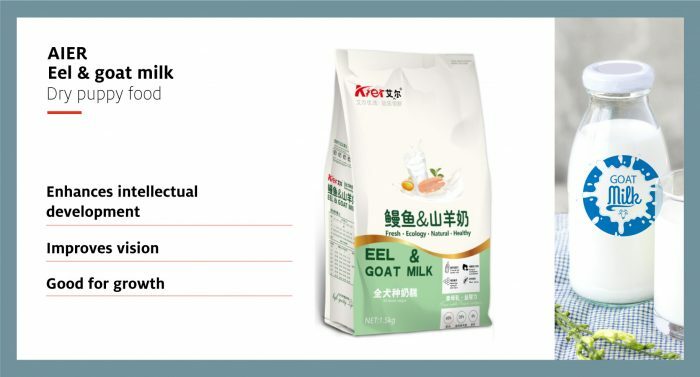 Dynamic, agile, inspiring… melting global trends with local specificities…juggling with tradition and innovation… the Chinese pet food market is unique. 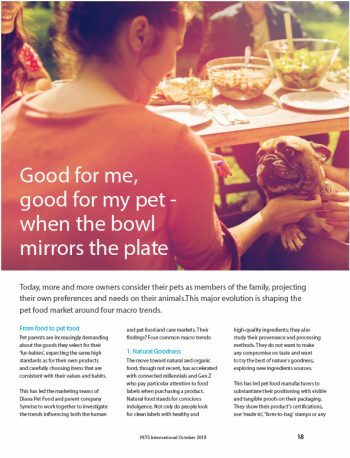 With 323,000 tons of pet food sold in 2017 and 35% value growth between 2013 and 2018* it is not surprising to see everyone wanting to get a piece of the pie. But to enter this special market, pet food players need to become familiar with its cultural peculiarities. Everywhere in the world, pet owners drive pet food trends. In China, the pet food market is largely shaped by the young generation of pet owners. Indeed, according to a 2018 survey from Goumin, the number 1 pet platform in China, more than 75% of pet owners are from the generations born after the 1980s. These high-income people, very optimistic about consumption, have become the main drivers of the economy. Moreover, 54% of young Chinese with a career are single and have high buying power. They are more than happy to adopt a pet and to spend a substantial part of their salary for him. In China, where pet parenting is often pushed to the extreme, owners increasingly seek pet products and services that mirror their own lifestyle. 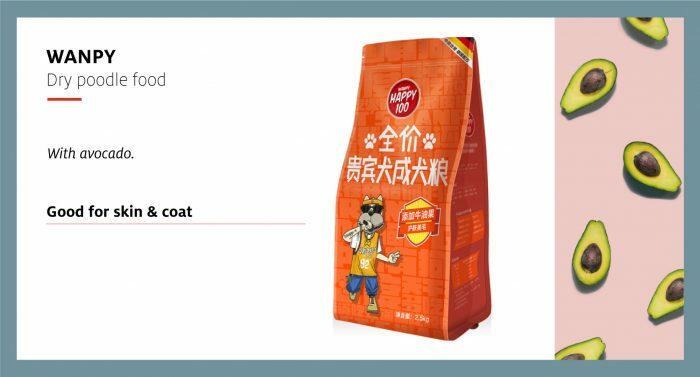 Chinese pet food manufacturers are thus developing an offer directly inspired from the Chinese food market and tailored to match the expectations of this young generation of pet owners. 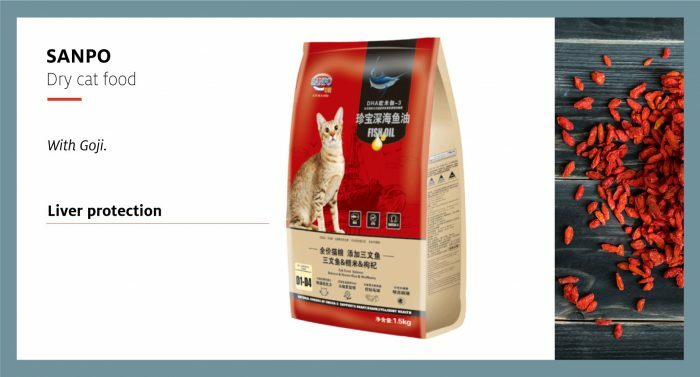 The development of premium pet food products with health functionalities is a strong and long-lasting trend of the global pet food market. This is particularly true in China where food has been considered as medicine for ages. 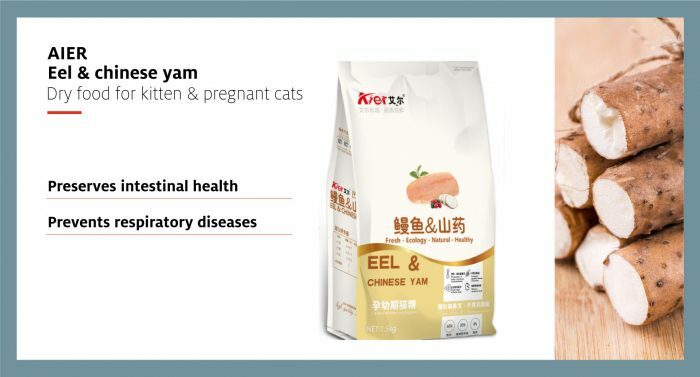 Chinese pet food manufacturers are surfing this trend to entice young Chinese pet owners for whom Chinese-style health care is more and more popular. 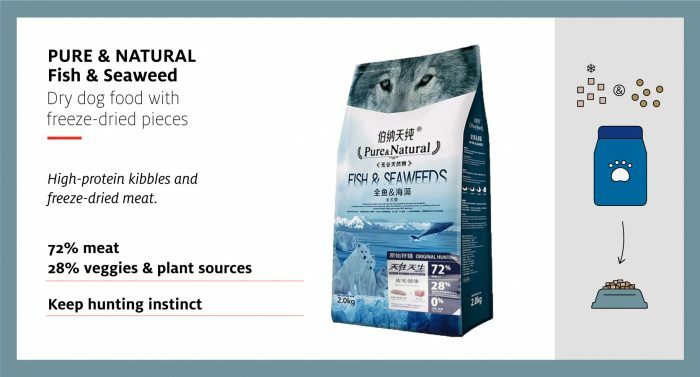 Local brands endeavor to differentiate their products from international brands by developing health-oriented pet foods with ingredients derived from traditional Chinese medicine or local functional superfoods. An increasing number of local brands enrich their formula with traditional Chinese herbs known to be good for human health. 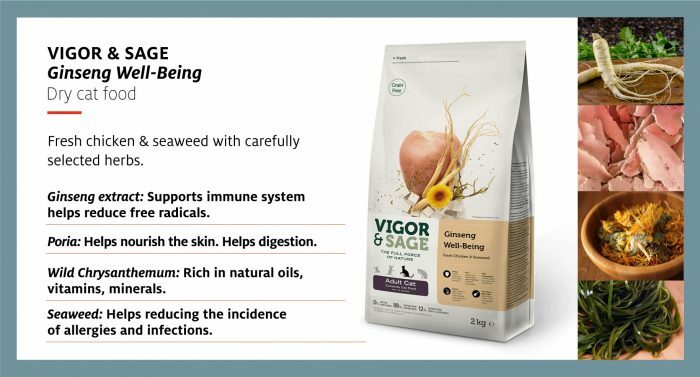 The images and functions of these herbs have prominent placement on packaging, accompanied by claims used in human food. 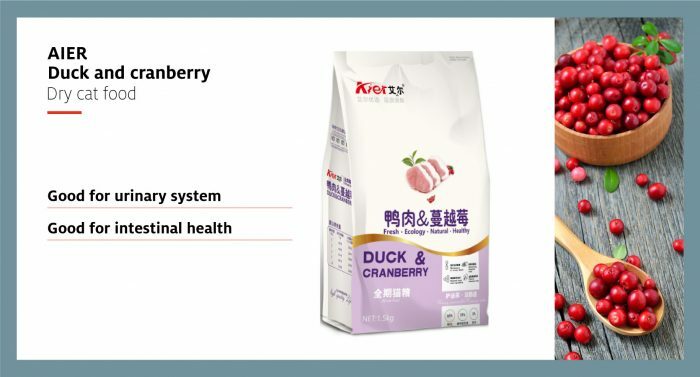 Wolfberry goji is the most commonly used Chinese-style ingredient in new health-oriented pet food products. This traditional herb, widely consumed by China’s “young health addicts,” is claimed to be good for a pet’s liver and eyesight. Numerous other Chinese herbs such as ginseng, lily root or honeysuckle are beginning to appear on packaging as well. The buzzword “Young Health Addicts” recently emerged in China to describe members of the young generation who are strongly motivated to stay healthy. “Young health addicts” are generally symbolized by a vacuum cup with hot water, wolfberry goji, and sometimes chrysanthemum. Called the “best health partner,” this cocktail is widely used in human daily health care for its numerous health benefits such as liver purification or vision improvement. The use of superfoods to improve pet health is another popular trend making its way through the global pet food market. Several trendy ingredients used in pet food worldwide for their health functionalities are also found in Chinese products. Blueberry and cranberry for instance are widely used for their antioxidant properties. 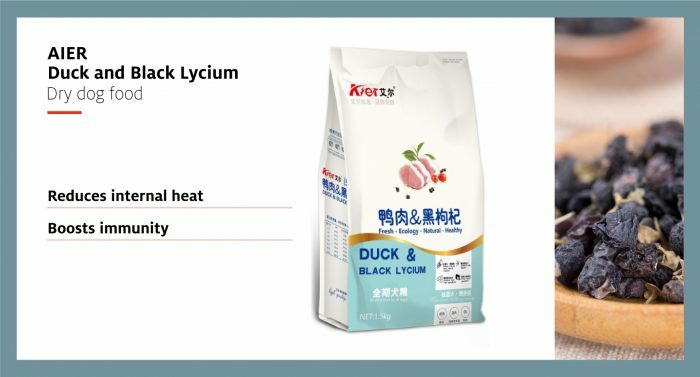 But in addition to these “international” ingredients, Chinese-style superfoods such as goat milk, Chinese yam, sweet potato, yacón or black lycium (black Goji), with various associated health support claims, are beginning to appear in Chinese pet food. 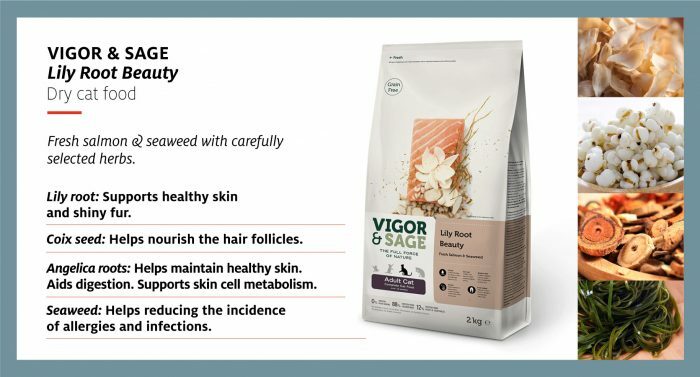 Even avocado, widely used in human health and skin care, is starting to be used in pet food to support beauty claims for skin and fur. 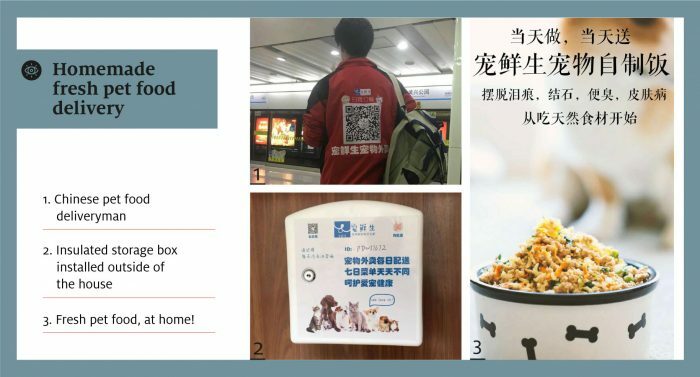 “Degrease your lifestyle” is another health concept recently adopted by young Chinese that resonates in China’s pet food market. 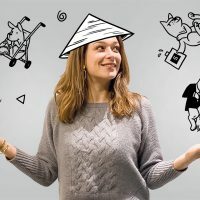 Indeed, a blog post titled “How to avoid becoming a greasy mid-age,” written in late 2017 by Feng Tang, a well-known medical blogger, has provoked a huge buzz on the internet. Promoting the importance for health of a balanced diet rich in fruits and veggies, the article raised a true “anti-greasiness” wave among the younger generation, who decided to become more active and eat salads. Surfing this “green” wave, pet food manufacturers are adding more veggies to their formulas to mirror the healthy meals of young Chinese pet owners. In European or American markets, fruits and vegetables are generally used either as raw material in veggie diets, or to bring variety to pet food. But in China, they are used to promote the concepts of nutritional balance and weight control. Most local brands clearly highlight the combo “meat + cereals + fruit & veggie” on packaging to support their balanced nutrition model. This phenomenon is not limited to pet food. Following the trend are fruity pet treats that also claim to provide balanced nutrition. 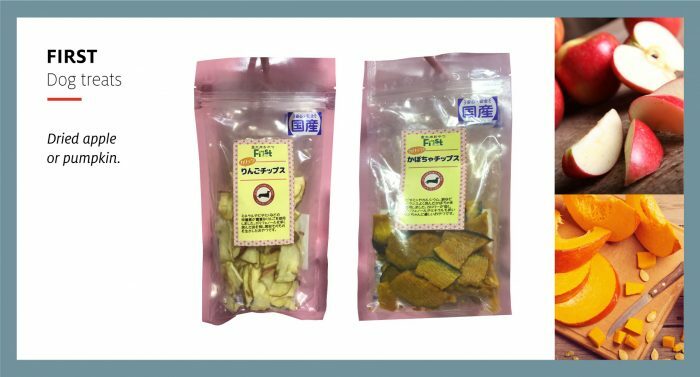 Chinese snack offerings now go beyond meat-based products and include freeze-dried fruits and vegetables such as banana, apple and pumpkin. According to CBNData’s 2018 Living consumption trend report, the new Chinese generation is moving toward a lazy lifestyle. Young Chinese people have less and less time to cook due to busy work hours followed by fatigue once they are back home. However, they still want to enjoy their food. They are thus looking for convenient, high-quality products for themselves and their pets. Foods such as instant noodles are emblematic of China. Now, these types of convenience items are coming to pet food. In European and American markets, freeze-dried pieces of meat or vegetables are included in formulas to meet owners’ desire to see “real” pieces of ingredients and avoid “aggressive” manufacturing and preservation methods. Positioning is different in China. 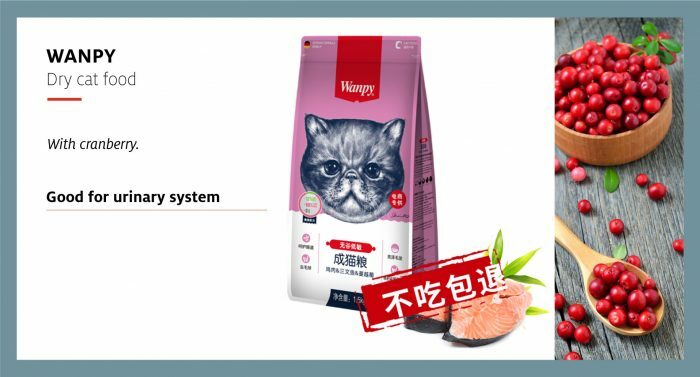 Here, instant pet food, claimed to be fresh and delicious, fits the Chinese owner’s attachment to tradition while addressing the need for convenience and taste. Encountered first in the treats segment, freeze-dried is expanding to complete food. 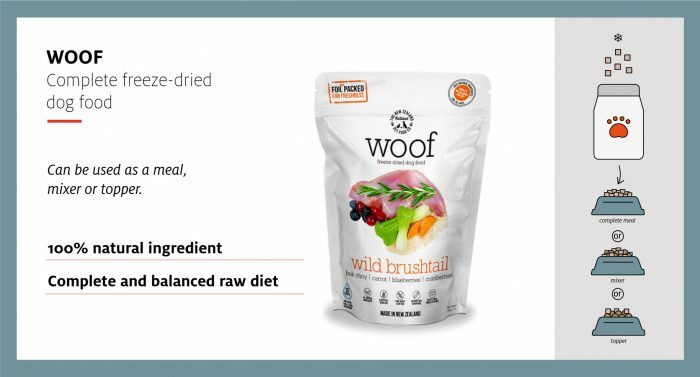 Several local as well as trusted foreign brands recently launched, diets mixing dry kibble with freeze-dried elements and even 100% freeze-dried diets. Pet owners can choose to give the freeze-dried pet food directly to their pets, to mix it with kibbles, or to soak it in warm water prior to the meal. Industrial kibbles bought in traditional distribution channels are no longer the only option. 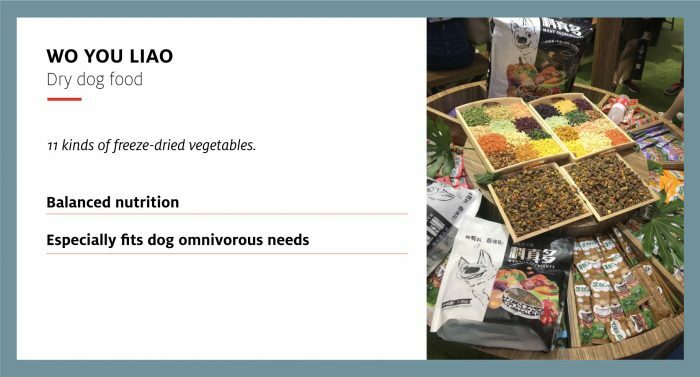 Inspired by the eating habits of Chinese people and echoing new consumption models appearing throughout the world, homemade fresh pet food is another solution for “lazy” young pet owners. Sold in dedicated take-away pet shops or delivered at home, it offers a handy way to provide their pet with delicious meals anytime and anywhere. From starter to dessert, gourmet homemade delicacy foods are a new alternative for parents to indulge their pets with ease. 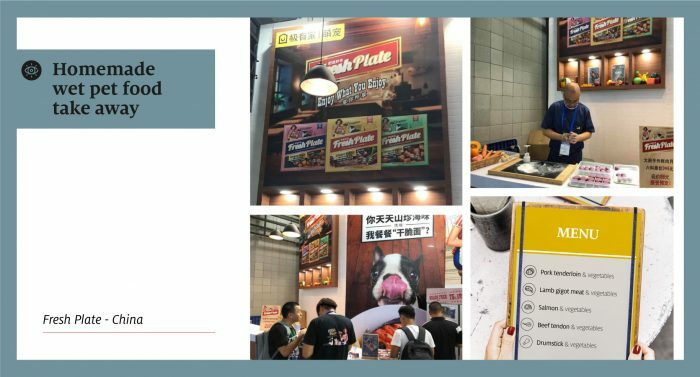 NB: Products shown in the article were found during the 5th edition of Pet Fair Asia that took place in Shanghaï in August 2018. Young Chinese pet owners’ lifestyle drives Chinese pet food market trends. 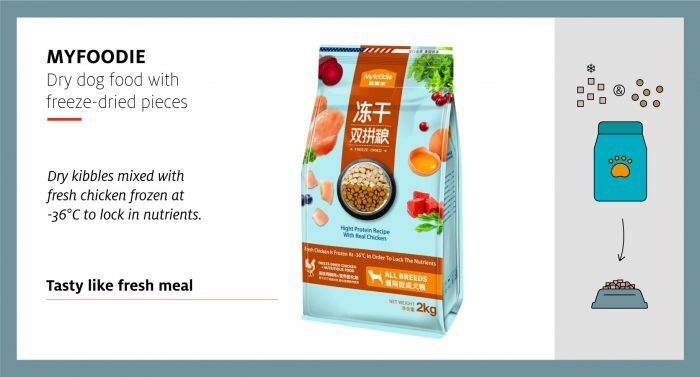 A rising trend in the Chinese pet food health segment is use of local traditional ingredients such as medicinal herbs and superfoods to keep pets well. New forms of products such as freeze-dried and homemade fresh pet foods are appearing to answer pet parents’ desire to indulge their animal with convenient and tasty products. Food markets are a never-ending source of inspiration for pet food. 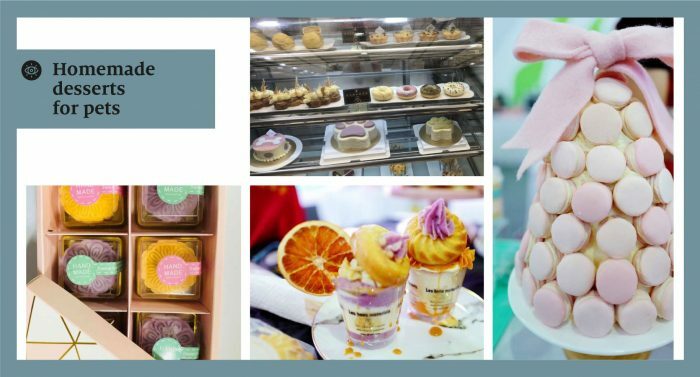 Discover the latest food trends from the SIAL 2018 edition.